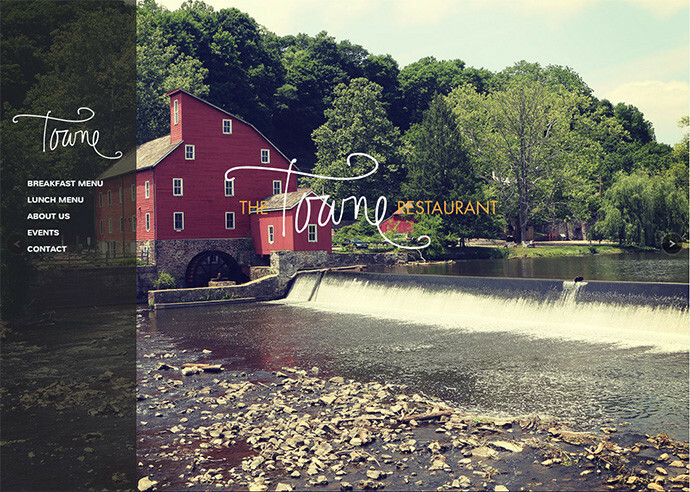 Owned and operated by the Rentoulis family since 1979, the Clinton Towne Restaurant in downtown Clinton, NJ. 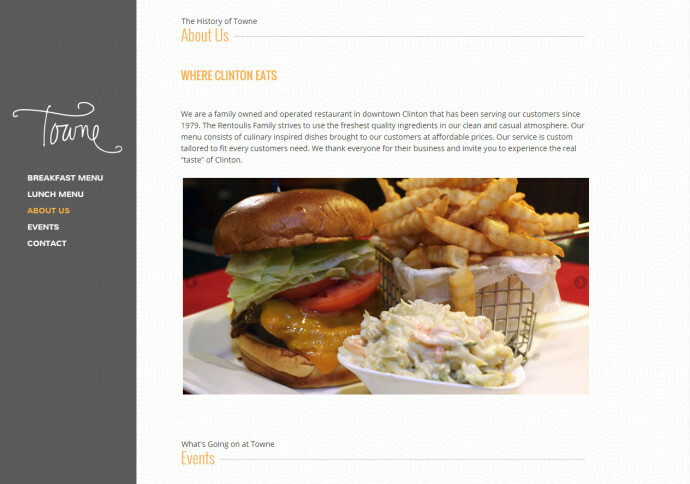 Towne was looking for a simple site that showed their location, menu and some images from Clinton on a clean, simple site. We designed an eye catching, one page site with a full screen slider, and links to their menus, as well as an embedded map and events section.